"Either as a producer or interviewer, I believe that there are things to take from an interview that one will never be able to get from research. No newspaper article or news reel can compare to hearing the stories of success from the people involved in making that success happen. Meeting people and hearing their stories and their views of sports, from both inside the game as players and outside the game as coaches, is without a doubt, my favorite part of our documentary making." 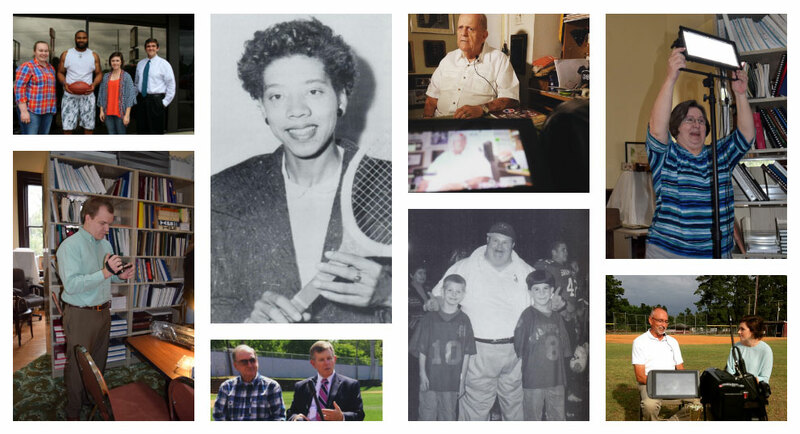 Students from three different schools in Manning, South Carolina are putting together a stellar documentary exploring the history and vitality of sports in their hometown of Clarendon County. As we eagerly await its November 2015 premiere, we can explore their fantastic website and social media feed! Click the link below to read student blogs about their experience, and lots of fun behind the scenes video and photos. The Manning Youth Access Grant project was made possible with generous support from the Smithsonian Institution’s Youth Access Grant program, The Museum on Main Street Program, the Clarendon County Archives, and The Humanities Council South Carolina.